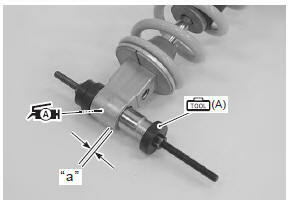 Remove the rear shock absorber bearing with the special tool. 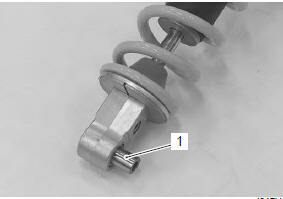 the removed bearing must be replaced with a new one. 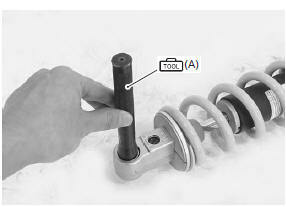 Press the bearing into the rear shock absorber at 0.5 Mm (0.02 In) depth “a” from the rear shock absorber side surface with the special tool and suitable size socket wrench. Apply grease to the bearing.